Died: 9th October 1917; age 29; KiA. Panel 40 to 41 & 162 to 162A. 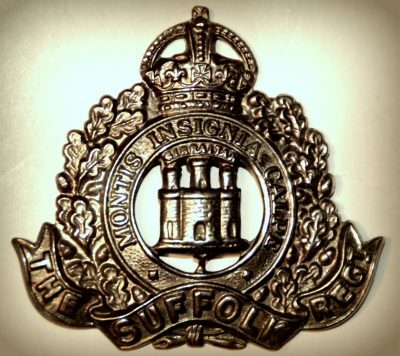 Relatives Notified & Address: Son of Arthur & Rebecca Broom, of 763, Woodbridge Road, Ipswich; husband of Maud Daisy Everett (formerly Broom), of 104, Angel Street, Hadleigh, Suffolk. 1891 8, Cecilia Street, Ipswich. Bertram was 2 years old and living with his parents & siblings. Arthur William Broom, 35, a Brass Worker, born Stowmarket, Suffolk. Rebecca Broom (nee Cocker), 33, born Ipswich. Alice Maud Broom, 12, born Ipswich. Ernest Walter Broom, 10, born Ipswich. Albert William Broom, 7, born Ipswich. Francis William B. Broom, 5, born Ipswich. Percy Cyril Broom, 3 months, born Ipswich. 1901 17, Chediston Street, Ipswich. Bertram was 12 years old and living with his parents & siblings. Arthur William Broom, 45, a Tinsmith. Ernest, 20, a Bricklayer’s Labourer. Albert, 17, a Bricklayer’s Labourer. Stanley Victor Broom, 8, born Ipswich. Edith Lilian Broom, 4, born Ipswich. Evelyn Gladys Broom, 2, born Ipswich. 1911 763, Woodbridge Road, Ipswich. Bertram was 22 years old, a House Painter. He was living with his sister and her family. Albert William Fisk, 30, a Foreman Bricklayer, born Ipswich. Albert Arthur Fisk, 10, born Ipswich. Percy Harold Fisk, 9, born Ipswich. Grace Violet Fisk, 8, born Ipswich. Evelyn Rose Fisk, 7, born Ipswich. Stanley Victor Fisk, 5, born Ipswich. Oliver Leonard Fisk, 4, born Ipswich. Bertie Clifford Fisk, 1, born Ipswich. Evelyn I. Broom, born 1915, Hadleigh, Suffolk – 1915, Hadleigh. Doris F. Broom, born 1917, Hadleigh.